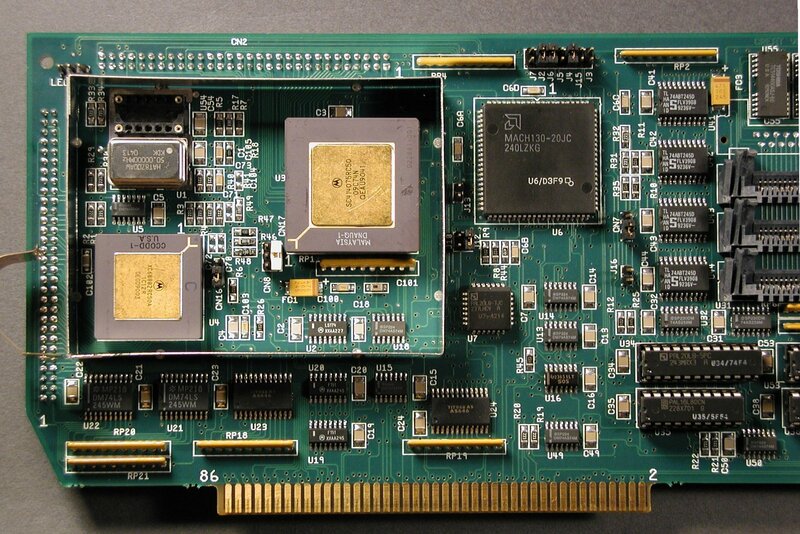 FPU: 68882 (PGA) or surface mounted, at the same frequency as the processor. MMU: None for EC030s, Internal in full 030s. 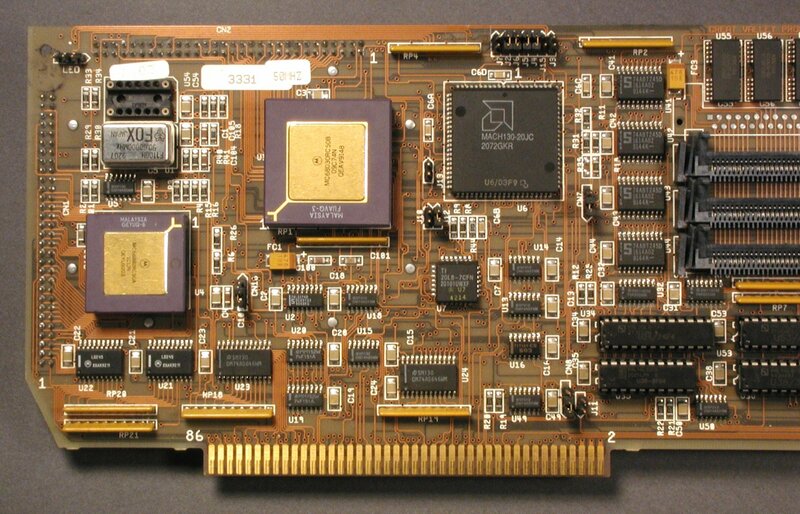 Max Ram: 13MB for 20 & 25Mhz version, 16MB for other versions. 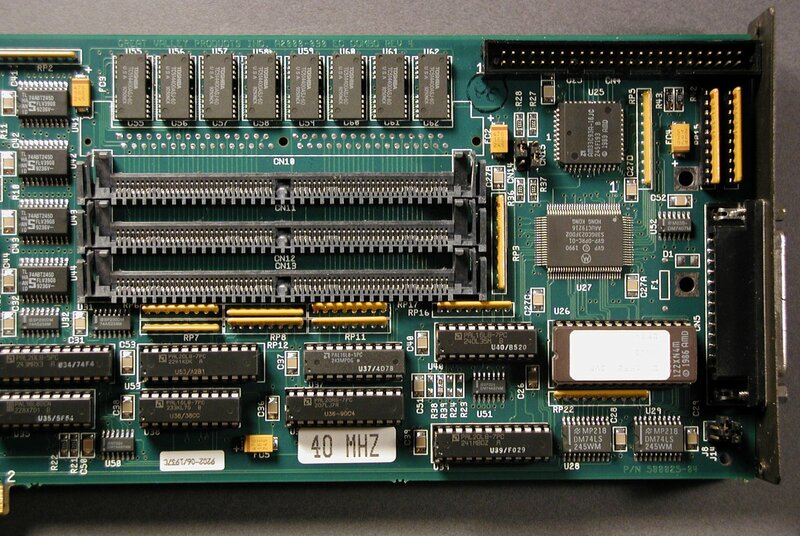 Ram Type: 3 x GVP 64pin SIMM Slots plus 1MB surface mounted (for 25Mhz version) or 4MB surface mounted for other versions. 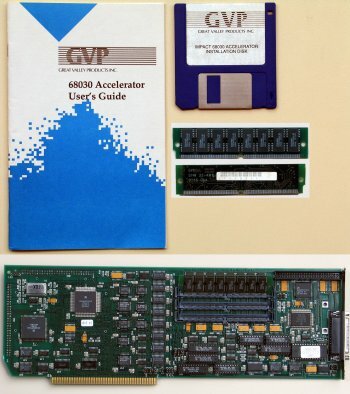 An accelerator designed to plug into the CPU Fast slot of the A2000. 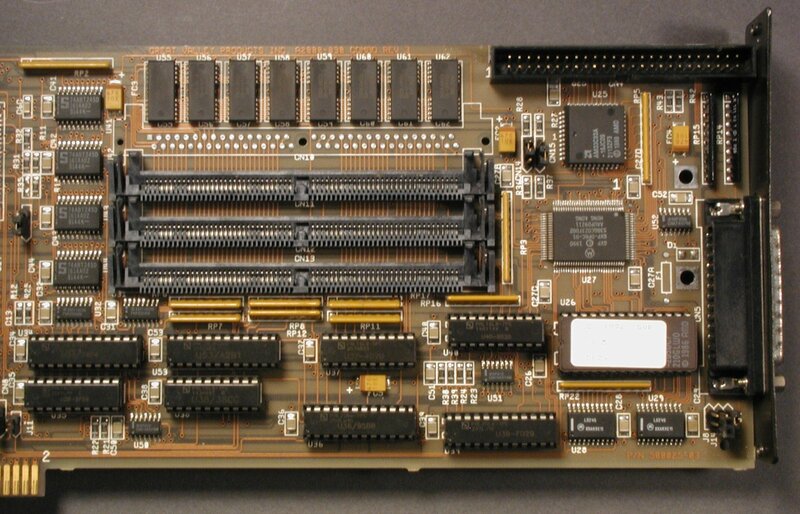 The card takes GVP 64pin SIMMs which are not necessarily compatible with the various other 64pin SIMM formats that exist. 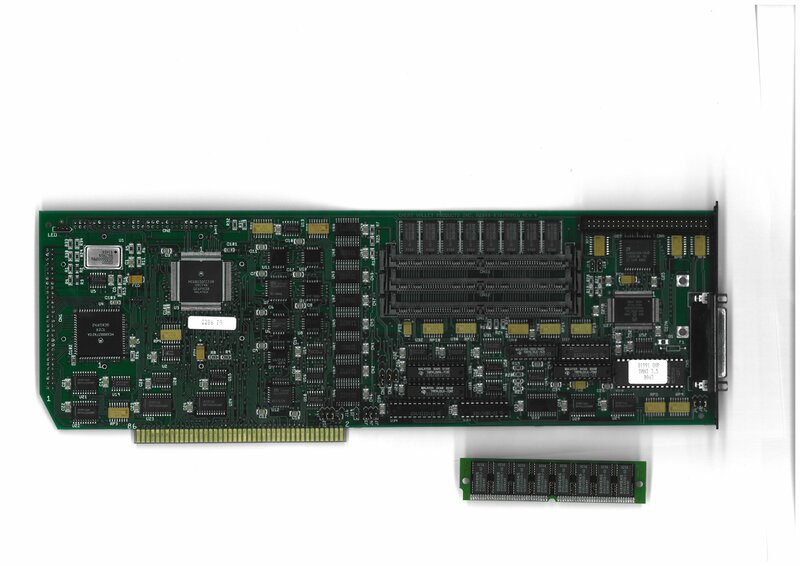 The card also contains a SCSI-II controller providing both an internal 50pin SCSI connector, and an external DB25 connector. In true GVP style, they could never stick to a single name for their products so this card may well be known by even more names then listed on this page.